Small World Travel & Tours, LLC has been in business for over 30 years, as a family owned and operated cruise and tour agency. We pride ourselves on offering the best service & value you will find anywhere. Honesty and integrity are the corner stones of our company. 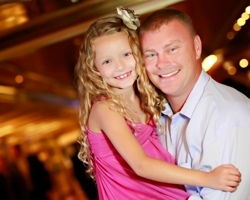 Fred Boucher (The Father) co-owner of Small World Travel & Tours, LLC has over 25 years of experience and knowledge of the cruise industry. "Freddy’s" experience shows in his tremendous ability to negotiate the lowest possible rates with the Cruise Lines and pass the savings on to you! 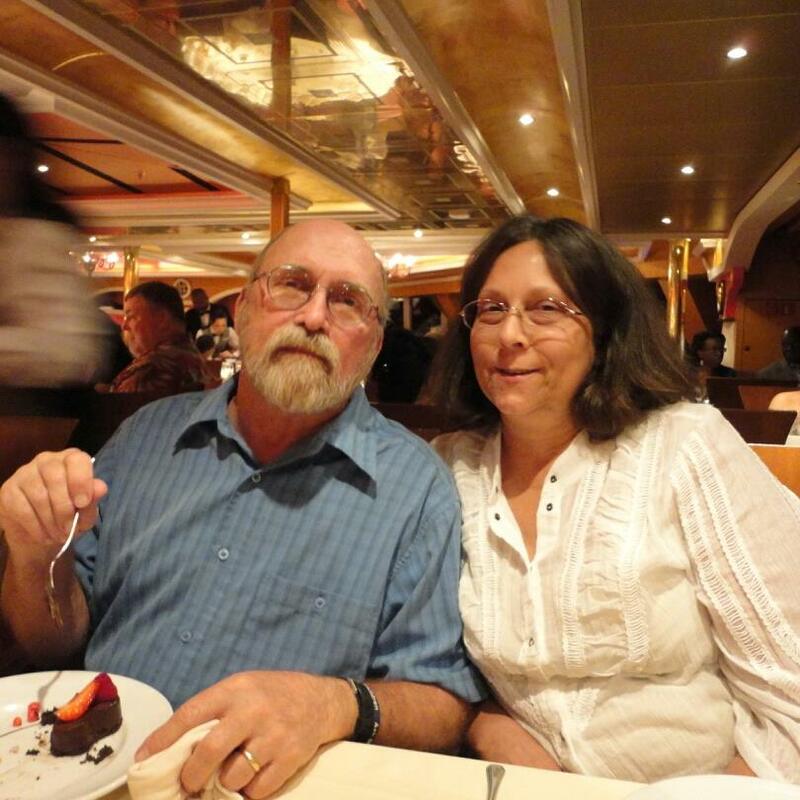 Paul Boucher (The Son) co-owner of Small World Travel & Tours, LLC has sailed on over 60 ships and has more then 20 years of experience in the cruise industry. 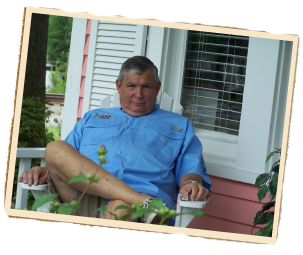 He is one of the most knowledgeable and friendliest travel professionals you will find. 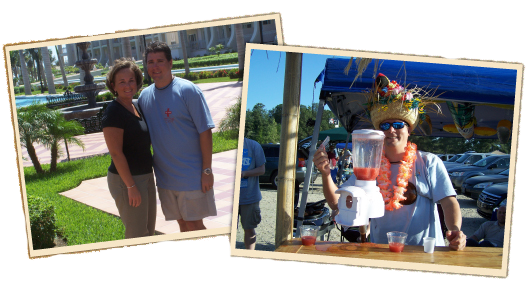 He graduated from the University of Margaritaville with a Masters in Tailgating and a PH.D. in FUN. Danny Lucas, proud father of three children, Daimon, Laken, and Sarah. 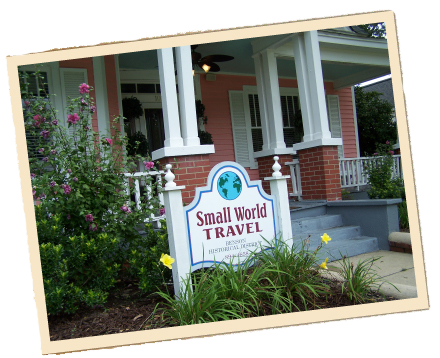 A law enforcement officer full-time and an outside travel agent with Small World Travel in Benson. Hi! I’m Stacie Poste. I am a travel agent (specializing in Disney vacations) and a substitute teacher. My husband and I, along with our dog Max, live in Selma NC. I’ve always been enchanted with Disney, but my love of planning Disney Vacations started with a family vacation in 2005 and since then, I have been addicted. 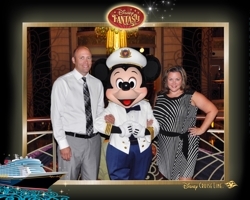 I love visiting Walt Disney World and cruising with Disney Cruise Line. I understand the tremendous amount of time (and occasionally stress) that goes into planning a magical vacation to Disney Destinations for your family. From staying up to date on the most recent Disney Destinations news, making resort reservations, dining reservations and itinerary planning, I can plan a Magical Vacation for your family and make the most of your Disney dollars. In addition to being a Specialist in Disney Destinations, I am an Accredited Cruise Counselor from the Cruise Line Industry Association, a graduate of the Carnival Cruise Line University, a graduate of the Royal Caribbean University of WOW and a AM Resorts Master Agent. Contact me to help you plan a magical vacation for your family. Hi, I’m Krista Fulkerson! I am a Disney vacation specialist travel agent. I am a stay at home mom after working in Accounting for a large corporation for 10 years. My husband, Stephen, son Carter, our dogs Hines and Maggie and I live in Cincinnati, Ohio. I took my first trip to Walt Disney World when I was 11 years old in 1989 and I have been to Disney over 35 times since. I am passionate about Walt Disney World and Disneyland and keep up to date with all the Disney travel news and happenings. I am excited to be a recent graduate of the Disney Travel Professionals College of Knowledge and look forward to continuing my travel industry knowledge in the future. I have helped others plan their Disney vacations, and friends have consistently given my contact information to others so I can share my tips! 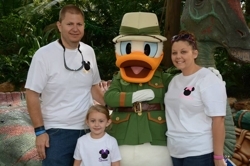 I have been to Walt Disney World and Disneyland in almost every situation imaginable – as a child with my parents, on my honeymoon, several times as an adult without children, pregnant, and more than a dozen times with an infant through 7 years old. I love planning Disney and keeping up with all new and exciting Disney changes and expansions. To me there is nothing better than sitting down with a blank sheet of paper and mapping out dates of travel, researching the resorts, making advanced dining reservations and booking Fastpass Plus experiences. I love all of the little (yes, even the admittedly sometimes frustrating) details of Disney travel planning. I would love to help you plan your magical Disney vacation, whether it’s your first trip or if you’ve been as many times as I! "Expert for all your Disney needs with no fees"
"Thanks for putting up with us and for all of the added little extras that you did for us!" 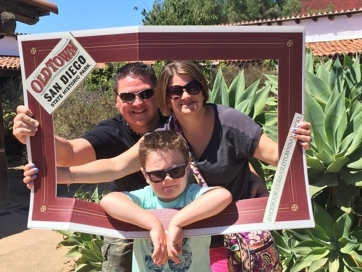 "You took care of all the details so we could relax and enjoy our trip." "You will have all of my future travel business, and any referrals I can send you. Thanks for your patience and service." "Thanks so much for recommending and booking our Ireland tour. We had a great time!!" "Your thoughtfulness, thoroughness, organization, and expertise made everything so easy and fun." "Thanks to your upgrading efforts, we ended up with an Ocean Front balcony room instead of a garden window view." Want to see more... here's a link to more of our reviews on CitySearch and Yelp.